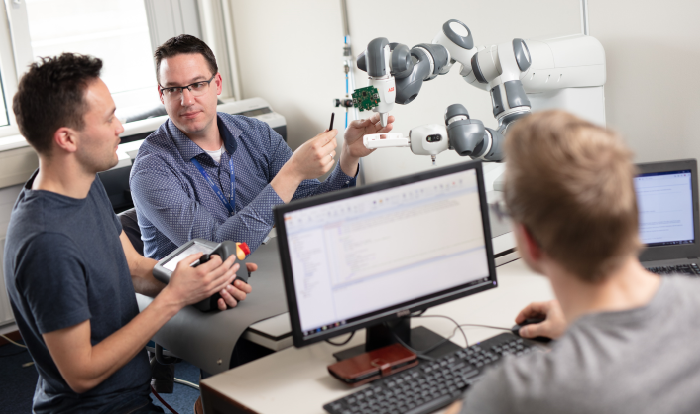 Cobots are the next step in industry 4.0 development: cobots offer operators an extra set of tools to support and enhance the rate and quality of their work. Programming cobots however is still a time consuming activity. Using an easy to use UX layer and AR it is possible to create an environment to facilitate programming and controlling of the cobots. Cobots make manufacturing sites significantly more efficient, preventing customers from having to resort to low cost regions for their manufacturing needs.